Behold, the Arsenal of Democracy. 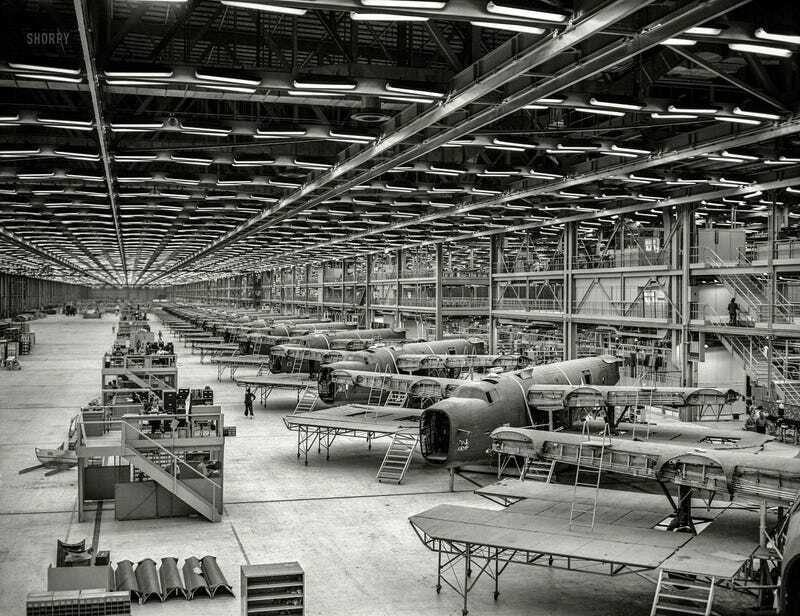 The B-24 Liberator and C-87 Liberator Express under construction at Consolidated’s Fort Worth factory. The C-87 was used for high-altitude, long range transport of passengers and cargo. This plant would be the largest unobstructed indoor working area in the world; it would be windowless and a pioneering example of controlled-conditions design.